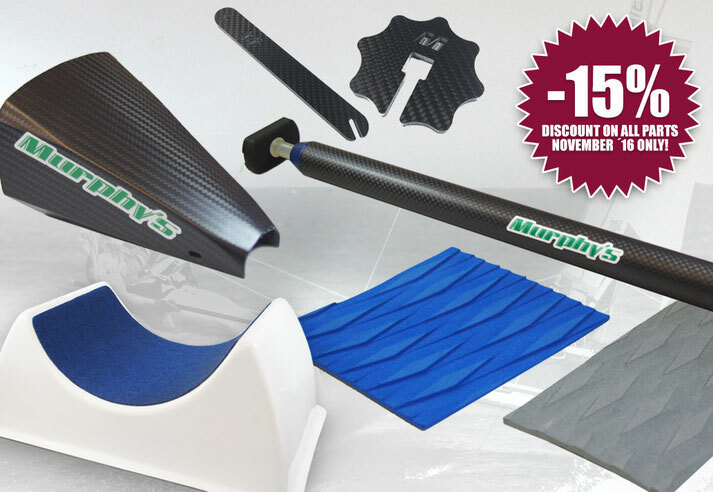 15% DISCOUNT ON ALL MURPHY `S PARTS IN NOVEMBER ´16! Murphy´s offers a 15% discount in November on the whole sailing parts & equipment! Carbon tiller extensions, carbon compass brackets, carbon skiff parts, deck matting, cat pads...all high quality products 15% OFF - while stocks last!